Butler, Party of 4: My BEFORE & AFTER pics!!! SO....This, my friends, is why I am LOVING ADVOCARE!!!! I have always eaten clean. I have always worked out intensely. There is no way around it. If you want to change your body, you have to make healthy lifestyle changes. I didn't change either of those things during the challange- I did them like I have always done. 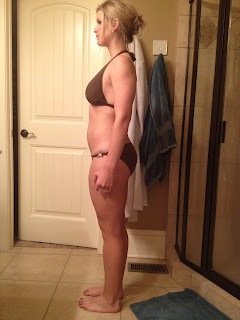 So based on my personal experience, pairing Advocare products with a healthy diet and workouts, you WILL see results!! Here's what I did....I completed the 24 Day Challenge. I added in Catalyst (originally created for the U.S. Olympic team to help them retain lean muscle while cutting fat) & ThermoPlus (thermogenic to hear up core temperature and speed up metabolism. I loved the shakes, fish oil, and vitamins so much that I have stayed on all of those after the challenge. That is optional, but I loved the way the made me feel and FINALLY helped me curb my sweet tooth (seriously, how many posts have I written about my sugar addiction?!? ), so I am SOLD. I also drink Spark & Rehyrdate (a MUCH better option than Gatorade or Powerade!!) every day, and have recently added in O2 Gold to get more oxygen to my muscles as well as Night Time Reocvery to help me recover faster. My hubby is taking the whole Performance Elite line too and LOVING it. Yes, we re Advocare junkies over here!! Haha, you should see our pantry. But hey, if I can put something into my body to help me get results and I know it is 100% natural, safe, and effective (trust me, I've researched the SNOT out of it! or heck, don't trust me and do the research yourself- the science behind it all is incredible! ), then why not?!? And I can't complain about our 40% discount too!! We were already spending tons each month on vitamins, supplements, etc., why not do it with some phenomenal products and get a discount?? Besides, the last "pre-workout" my hubby was taking was called Hemo-Rage, and who the heck knows what that crap has in it! I'm so thankful to have him taking something GOOD for him that I can trust!! Like I've said, I know it's not for everybody, but I'm thankful Jonathan & I have discovered it!! WE LOVE it!! You look GREAT! :) That's amazing! Your post below totally inspired me to start drinking a lot more water too!! You look awesome! Definitly inspired me yet again! That's awesome, very inspiring!! I'm sure you had all that muscle before you took Advocare, but I can't believe that it made you that 'cut'. I have two weeks of Insanity left then I am looking into getting more definition - is that all diet? (that's what I have heard). Hey girl what type of vitamins are you taking? I looked and theres several different choices. Amazing, seriously this sold me! You look amazing! You should be so proud of yourself! 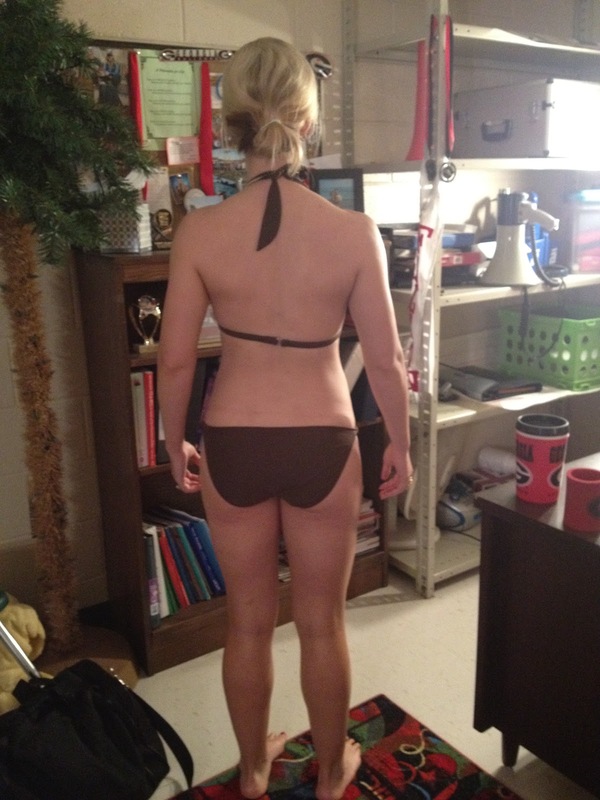 I have struggled with my weight all through high school and that constant pudginess that just doesn't seem to go away! I focused so much on my weight and what I looked like it really got me down. Then when I started college last Fall I tried to avoid the "freshman 15." I worked out, but didn't always eat healthy, actually I never did. Reading all about your weight loss journey really has encouraged me and helped me see that I really can get my high school body back ( even though it's only been one year). I can't wait to read more about your journey and I love reading all your healthy food tips, they are SUPER helpful. Great job! How tall are you, Danielle? Wow, great before and after photos! I would settle for your before body, but I think I did look like that years ago. Just co-started a group on Facebook with friends who are mostly 60. Weekly weighins holding each other accountable. Yes, we started before the holidays but what better time to start a better eating program. We are making progress and I look for blogs, quips, exercise regimens, recipes and the like to post for encouragement. I will be including yours in the coming weeks. Thanks for sharing.